It seems September is going to be a busy month, with Huawei now piling on an already packed first week. The invite being sent out from the company is calling people to attend the launch of their next smartphone. 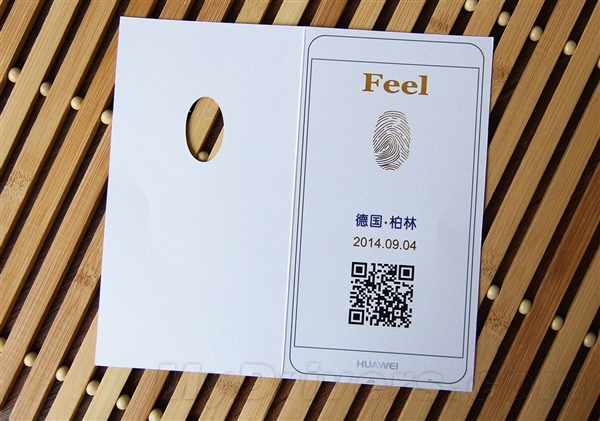 The invite doesn't say much but one can guess from the design that the phone might have a fingerprint scanner. The phone is said to be the Ascend Mate 7, the company's next flagship phablet. The phone is said to come in two variants, one with a QHD display and one with Full HD, both at 6-inches. The phones will have Huawei's Kirin 920 octa-core processor, 13 megapixel camera on the back, 5 megapixel up front, all the usual connectivity features and Android 4.4 KitKat with Huawei's Emotion UI 3.0 on top. More concrete details will be revealed on September 4.